Robotic Assisted Radical Prostatectomy (RARP) is a surgical procedure where the surgeon utilises robotic technology to perform removal of the prostate, seminal vesicles and pelvic lymph nodes in some cases. The procedure is performed for treatment of prostate cancer. Due to the advantages of the robotic surgical platform patients treated with the robotic approach tend to recover faster. This is all due to a combination of factors such as small keyhole access to perform the operation, precise dissection, minimal blood loss which all translates into quick convalescence, return to work or usual activities. For this reason, patients are usually able to be discharged home the next day. The surgical anastomosis (new join between the urethra and bladder, performed after removal of the prostate to re-establish continuity of the urinary tract) performed robotically is almost always watertight. This virtually eliminates the risk of urine leak and minimises the time the patient has to have a urinary catheter post surgery, on average 5 days (3-7 days). With the open approach this time is usually much longer. The good vision, magnification and fine instruments of the robotic platform allow for a good nerve sparing surgery to be performed which is important for preservation of erectile function. 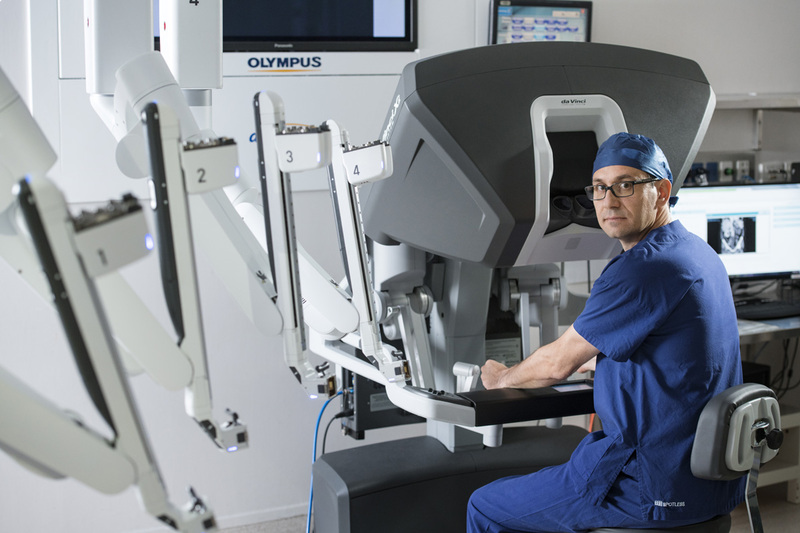 Dr Penkoff performs Robotic Assisted Radical Prostatectomy at Ashford Hospital using the Da Vinci Xi system, which is the latest and most refined robotic platform to date. Dr Penkoff is Fellowship Trained to perform Robotic prostatectomy. Through a process of rigorous mentorship, teaching, supervision and feedback he was able to perform a high volume of this procedure in the UK, which has allowed him to be well above the learning curve and therefore his operating times are short, the surgical margin rates are low and results comparable to international standards.